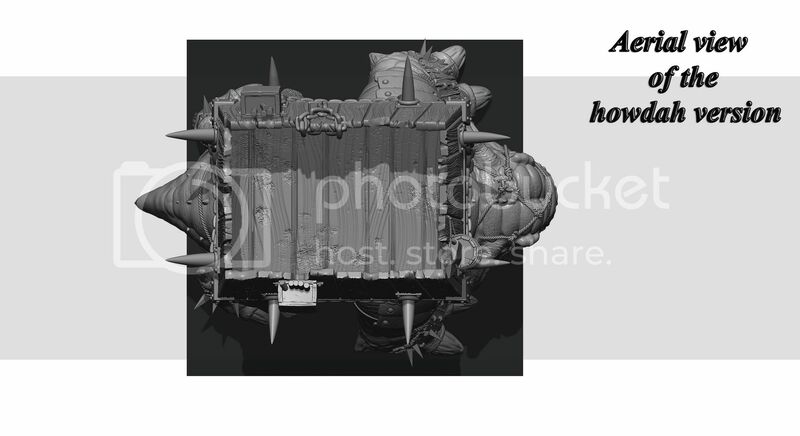 Click on the Brutgoth render pics to see even bigger versions! So, wouldn't know where to start from, there are so many things done and so many still left to do! 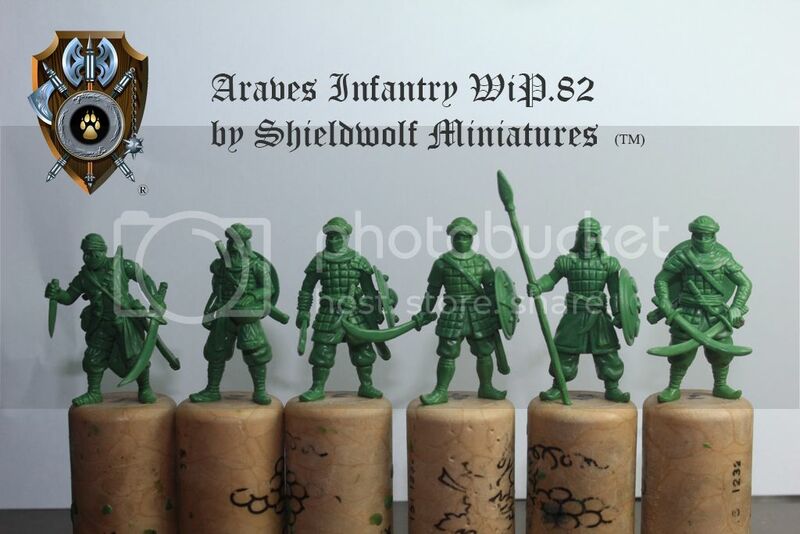 Shieldwolf Miniatures is a company based in Markopoulo, Greece, a suburb of the Hellenic capital Athens. It has been founded and owned by Dott. Angelos Margaritis, a veteran supporter of Fantasy in general but also a hobbyist and wargamer. A renowned professional in his own sector, he established a line of policies and procedures to ensure the growth of a serious and competitive company. Below we will place in the spotlight a lot of things that will explain why we here at Shieldwolf Miniatures believe we are on the right path on creating an exciting and innovative table-top wargame with perfectly casted miniatures and concepts never created before. Achievements: To our knowledge we are one out of only 3 companies worldwide to have produced plastic modular fantasy figures in bulky/"heroic" 28mm scale. We are the first (and till present day remain the only) company to have started producing a Barbarian army (with characters,monsters,core units etc) and also have sculpted and placed in the production line an arabic army, again in 28mm bulky/"heroic" scale. We have inserted below some spoiler pics for those who haven't seen the ones we allowed "leaking". We are also one out of two companies worldwide (to our knowledge) working on a cinematic on their tabletop wargame. It has taken longer since we have decided to add more scenes and about another 60" of length. It may sound little, but it is not. It means even more funding and effort, many months of additional work. This may not interest some of you but we at Shieldwolf Miniatures love art and this is one more way of showing it. This is the small teaser we released many months ago. Superb packaging: We have planned our packaging methods in order to avoid anything happening to the precious miniatures we produce. From the postal boxes till blisters+foam, and whenever considered necessary we ensured the addition of foam pellets. Our well organised facilities and manpower help us achieve that. 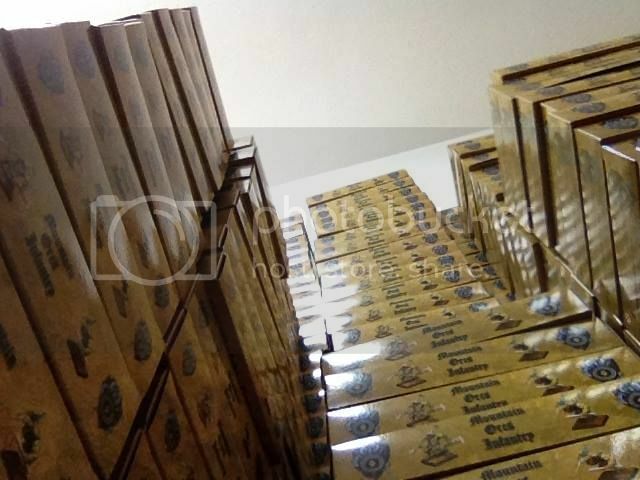 Our packaging quality is also something we researched very carefully. We finally found and imported very high-quality boxes, which can be later on used instead of thrown away and thus be enviromentally friendly. 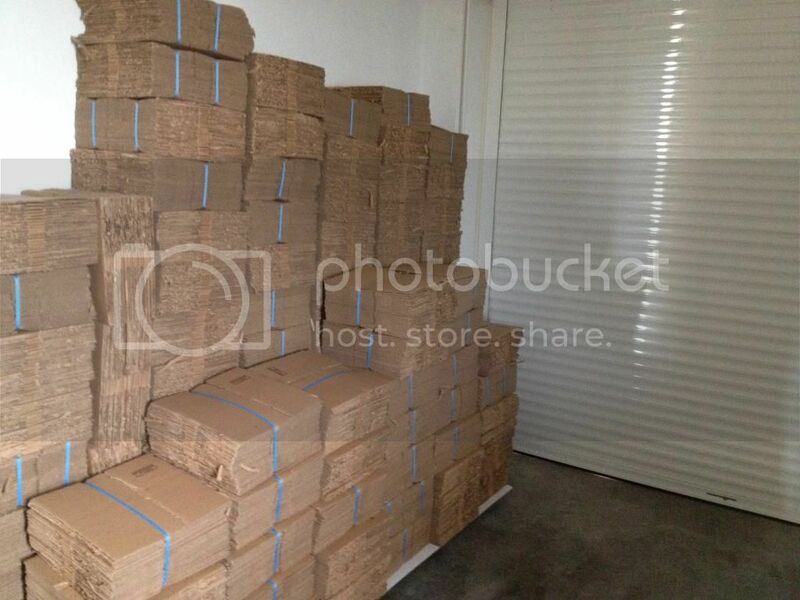 Flawless shipping service: We are proud to announce that since the very beggining of our foundation we have kept faithful to our original targets. Keeping shipping costs low, offering free shipping options and taking advantage of both our position (which helps us gain valuable shipping time, since we are but 8km away from the International airport of Eleftherios Venizelos) and Greek Postal Service, which has proven wrong some unfair prejudice that may have existed before and maintains it's great reputation. 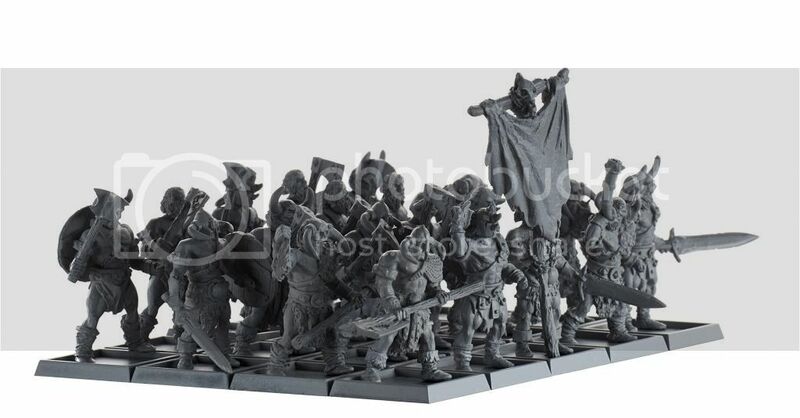 In addition to that, everyone who has dealt with us will testify of our superb organization in Customer Service, even after putting it to the test (having everything packed and ready for the release of the plastic Orcs was a great challenge which we believe was passed with flying colors!). We have everyday visits to the local Post Office from Monday to Friday. It has taken 24 hours to ship orders completed with PayPal and 48 (rarely it has taken up to 72) hours since we have to wait for Credit Card payments to clear. Flawless casting: We have literally shipped thousands of minis all over the world. We have never had a single complaint for neither our materials nor castings. 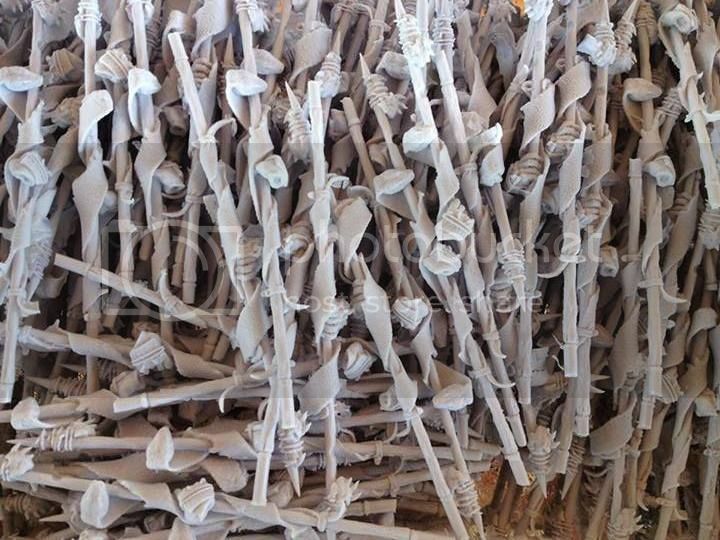 Leading quality materials: Both our resin and plastic used in Shieldwolf Miniatures products has been long and carefully researched and although limits profit margins are probably the best in the market. Our Policy dictates that augmented sales are going to counter that and make the Company viable. So that's what we mean to keep on using. Distribution: Besides our direct customer service, we have ensured additional distribution in both Europe and America, we are still working on securing an Australian distributor since we mean to accomodate better our Australian and New Zealand customer base. We have no worries that it is a matter of time till that too happens. International embrace: We have made sure to allow 4 different languages on our website (Greek, English, German and Italian) since we mean to reach out to as many people as possible. 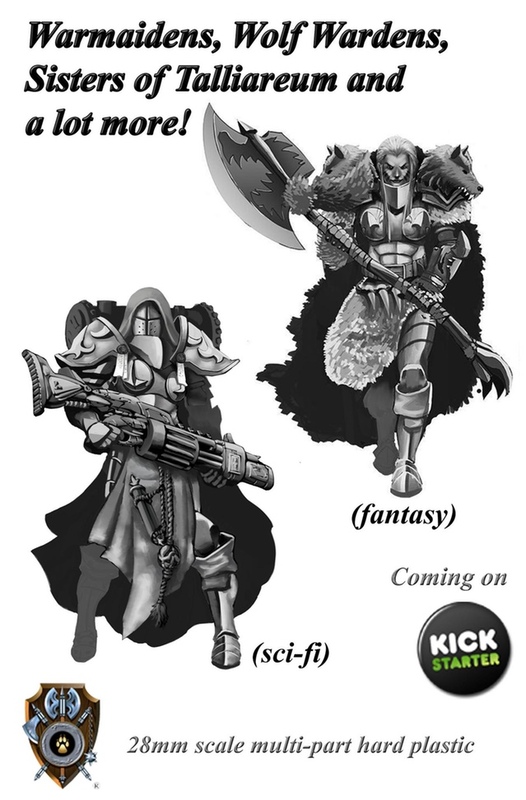 We want to welcome them to the options tabletop miniature wargaming and Fantasy in general can offer. We mean to drive people into this hobby. Part (a) has to do with the concept of our miniatures. We are not afraid to take a different path and walk away from what we have been used to. Some people like that, some don't. We believe in innovation however and are confident it will do us justice in the years to come. Part (b) has to do with our game "Shieldwolf: War is coming" (TM). The game has a built that has never been introduced in any other tabletop miniature wargame. It's greatest feature in our opinion is that it allows both a simple feature for fast and casual play but also a hard-core version with (much) more elaborate rules. We have playtested this for over 2 years now, and we have to admit it will take a lot still to cover all corners since we always come up with new problems of balance issues but also new innovative rules/ideas we simply have to put in the game. All this has to be supported with artwork, map designs, fluff, specifications and lots lots more! It is not only a matter of funding this, it's about the thousand of hours we still need to spend working on it. A beta-version is still far away so in the meanwhile we keep our heads low and keep on working. We mean to release a superb game, and even if this becomes very stressful at times, we keep our faith through our passion. Probably leaving out a lot of stuff in this first post on this thread, but we believe this is a good round-up of who Shieldwolf Miniatures is and what you can expect from us in the future. Looking forward to these being available via US distributor. 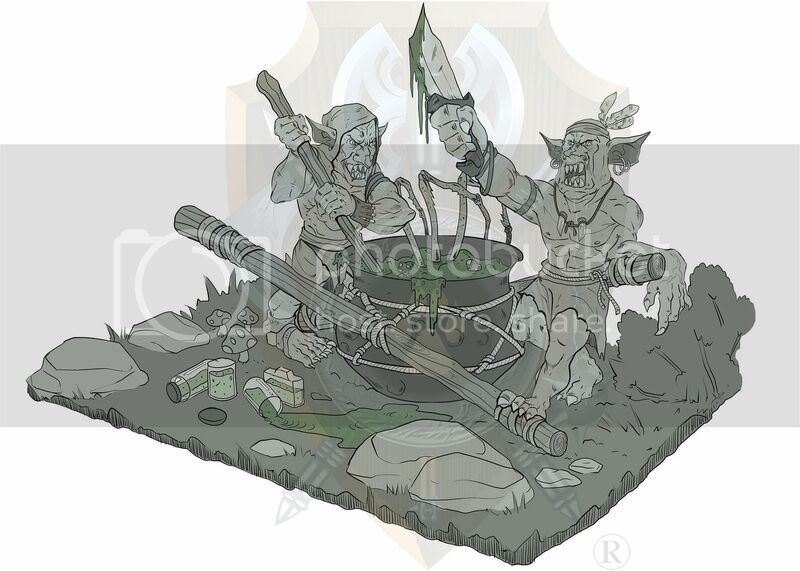 Very cool orcs and very much like the other designs, too! I'm looking forward to seeing more of your stuff. Most of what Mantic does never seems up to par with the GW stuff, and the one plastic kit you've done was impressive enough for me to hope to see more kits of similar quality from you. 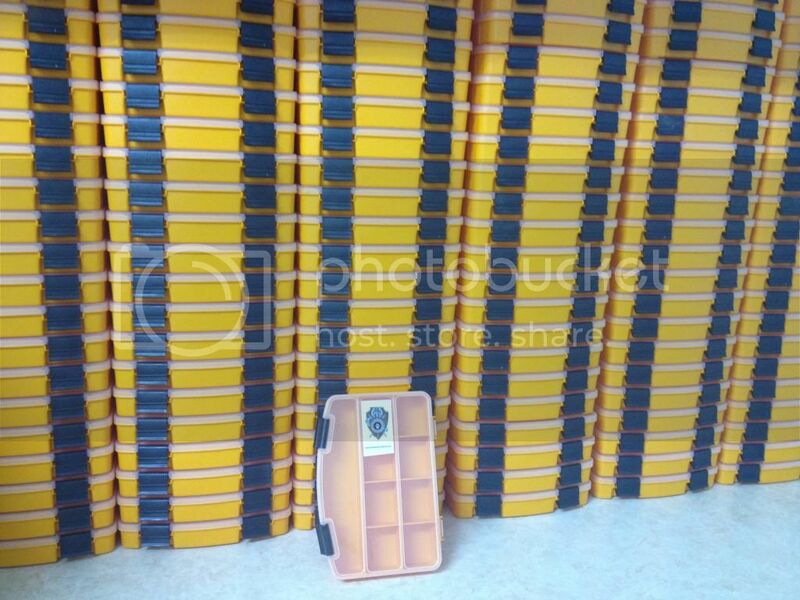 Like the look of those boxes, are they the retail packaging for the product? Ketara We are currently working on our next releases. We have postponed our September schedule in favor of something bigger. The plastic orcs are a great kit, but they do have one problem I noticed right away: not all of the pairs of feet fit into the lipped bases. Are non-lipped bases a possibility for the future? 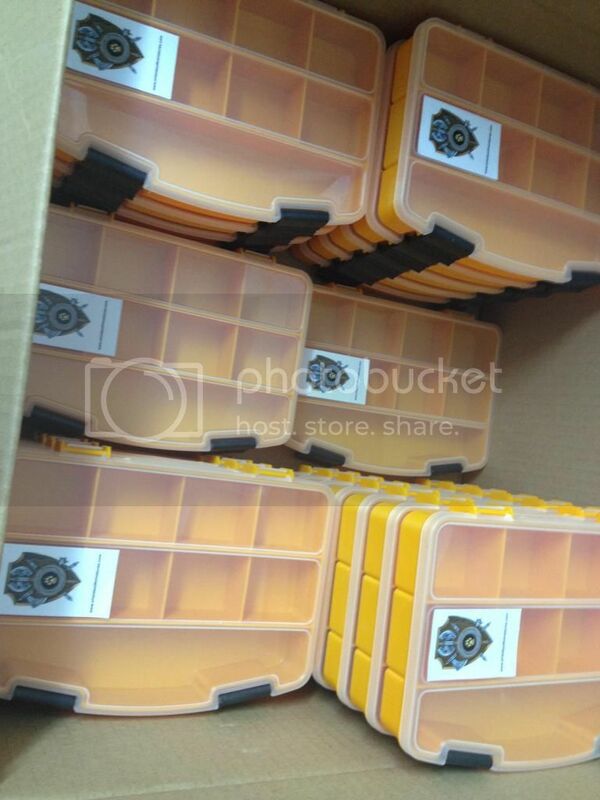 So glad to hear of US distribution, I went immediately to buy a box, but they were already sold out! While that means I will have to wait a bit to buy it, I consider it good news for a company that has repeatedly impressed me with their dedication. Awesome cast and very eager to see what else is coming! BobtheInquisitor Initially we liked the non-lipped bases too. If someone tries out however the lipped bases version, he will find out that the possibilities offered to him that non-lipped bases can simply not offer. For instance, our Dracantropii Infantry, immagine how you can fill their bases with swamp water-effect and make them march on that. Or for our barbaric Northern Alliance where snow effects can be so much more realistic. You'll never get that effect with non-lipped bases (especially the water effect, except if you use plasticard on each and everyone of them and carefully remove it, but that is something very few people would ever do, personally I know of no one). I've also received miniatures from Shieldwolf. Casting is ace: minimal cleanup with mold lines (I almost didn't find any in the Barbarian Hero!) and had no problems with assembly. After getting some rather unfortunaste resin casts with other major companies, this is a great breath of fresh air. Had fun painting the miniatures as well. No worries, they said they would be getting a re-stock within a couple of days. I'm looking forward to getting my hands on some of those mountain orcs. I believe I will be painting/using at least some of mine as demons. We have been honored with yet another review, this time by french NewsFigz. We will be posting a very detailed "report" in the second week of September when it will have been decided which route to take. In the meanwhile we are working with our manufacturer on our 2nd plastic kit, we have no interest at this point for any other type of plastic. 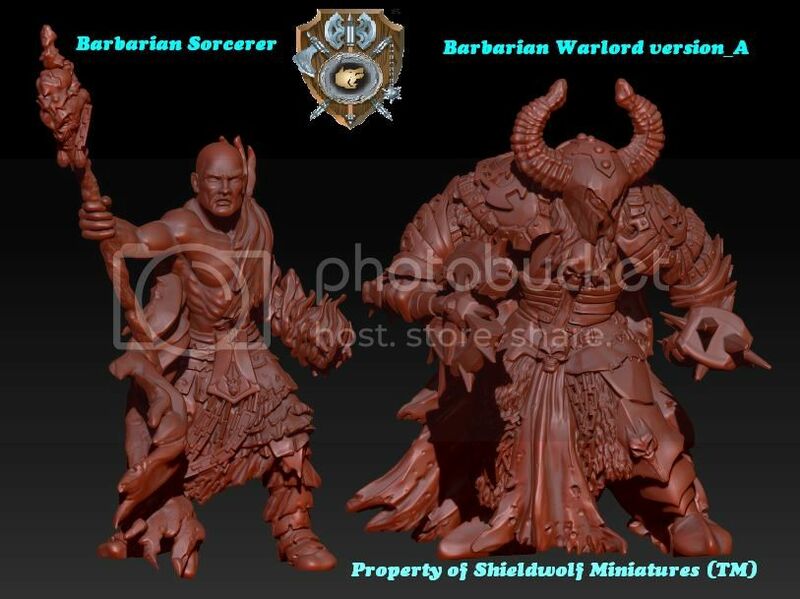 Shieldwolf:War is coming will undoubtly need also other sculpts to be produced in resin from a variety of factions and races, always with the same vision, passion and innovation. Resin is again always done in house to ensure both the quality and availability. Undead: We have commissioned for the future release of a couple of heroes to enrich the Undead. Kingdom of Talliareum (Humans): We have already sculpted and painted some, we are currently planning something...nasty. Kingdom of Hell: We are working on their regiment and 2 more heroes. Northern Alliance: Being the only company worldwide producing a barbarian army at this scale, we are currently working on more. Dracantropii Kingdoms: New bases available. Further update coming September. Orcs: Having 4 factions for this race, we have for now more than enough releases for our 1st faction (Mountain Orcs) and are currently working on the 2nd, sculpting as we speak. Araves: A surprise is being prepared for the Lords of the Sand Lands. 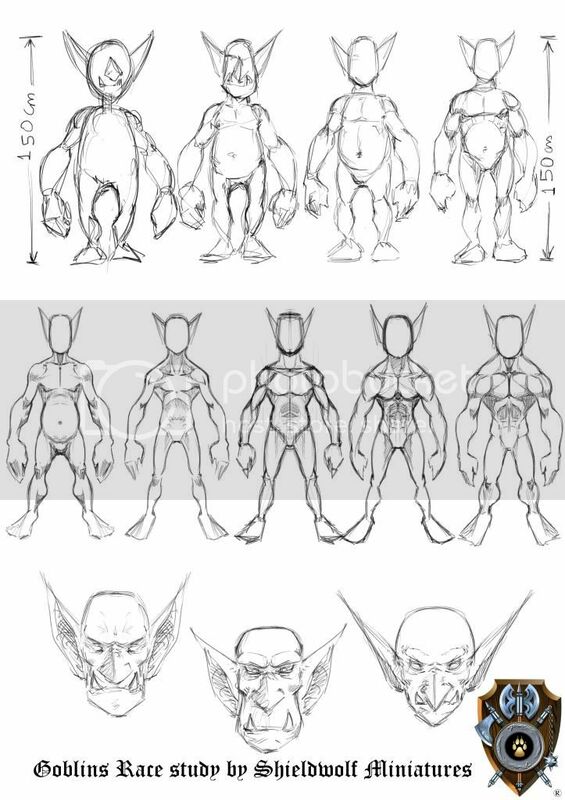 Elves: We have them in the pipeline, we have shown off some artwork and sculpts in the past but nothing to be produced in the very near future. 2015 is more probable. Tragomaxoi: A race of goat warriors, some lovely artwork and a beautiful finished sculpt for now. They are on hold. 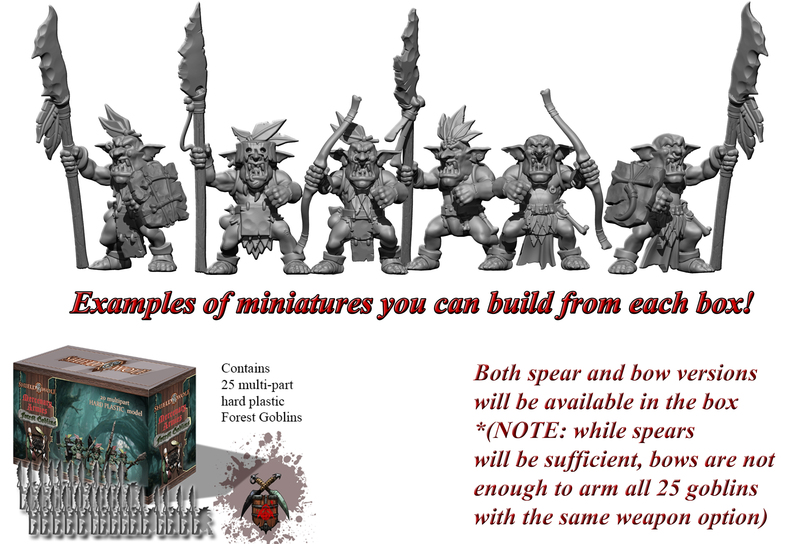 Goblins: Plastic regiment planned and some heroes already sculpted with plenty of beautiful artwork, first minis should hit our store shortly. The Rebels: Human faction. We have commissioned artwork but no sculpts have been created yet. These are some really promising sketches. Can't wait to see the finished models. At last some great alternatives for these races. Ah! You bit me to it corgan, I just saw it too on their facebook page! Wow, that's a very interesting twist, goblins and (in this case) gobln wolf riders pop from all over these days! These are both super badass, I love them! I had hoped for goblins for years (and maybe make them skaven slaves) and now they just seem to be showing up from all over the place, lol! We like doing the work behind the curtains (as we say in Greece) and then enjoy the fruits provided. These pictures were released by us on the da-warpath forum since we were dared to prove our claims, something that will however probably never happen again since we have never given a reason for people to doubt us nor do we feel held accountable for that. Since we had revealed these we posted them also in other forums and our FB page, leaving this for best and last (a bit late!). The sculpts from this artwork are both currently being professionaly painted abroad and we wish you like them as much as we do. Edit: We will not be revealing any more at this point, all decisions and further updates will be posted next month. We sincerely appreciate the interest very much. Is that second picture of an Ogre or an Orc? Looks good either way, but I'm definitely after some good looking Ogres. GW's current models are a bit blobby, and Mantic's are knock-kneed, pigeon-toed and over-detailed with far too many tiny buckles and straps - good for a display model but a bit horrible for army building. 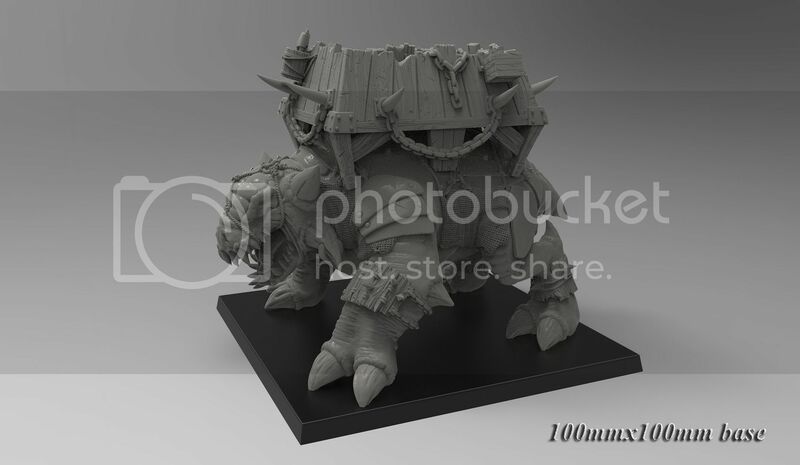 Really looking forward to someone bringing out some cool old-school Ogres, similar to the Citadel classics. Huh? It's a secret to everybody? Why not just tell us in the thread? I have a similar set-up, where I have a nigh-inaccessible computer that I use whenever I need to send email, Facebook messages or Dakka PMs. I suppose I'll have to add "discerning ogres from orcs" to the list. Perhaps the hush-hush is all about Shieldwolf's proprietary new monster--the orgro! It's the only possible answer. The art looks a little Minion Minis, though, so they better step up production and co-opt the competition. In the 28mm fantasy not-GW market, it's eat or be eaten. They better go for the throat, like an orgro. The reason we wrote that here was because we wanted to show we are tuning in our thread, listening to what you have to say and interact with you, however there are reasons we haven't revealed anything more, that will be done on September as promised. For what it is worth, I have a strong preference for the goblin head farthest to the right. I think it is unique but recognizable as a goblin. I really dislike the goblin head in the middle, it has been done to death, and does not look threatening. I really like your attitude and work ethic Shieldwolf. I am looking forward to your new releases. "Threatening"!! Thanks for mentioning Gallahad! This is the crucial word! Exactly how a goblin should look unlike all the funny, cartoonish versions that everyone creates. I'm glad to see how involved you are with us. But I also really want to point out how unintentionally funny your two sentences are next to each other. I would love that! I'm looking forward to finding out. I can assure you production is anything but low (you'll see for yourself), there will be no August vacation for Shieldwolf this year. I was not being entirely serious. Please don't give up your vacation. Not the vacation. How do you know? Minion hasn't posted any Goblin art yet, although their diminutive spear-wielding aliens sure do look angry and sneaky. The goblins look pretty jacked. The head on the right is my favorite. Please don't make them look goofy. It was indeed intended as a joke. I'm no vicious orgro here. I plan to support Minion by pledging for HIPS goblins from their campaign (zombies are forbidden). I will also buy your next plastic kit based on how much I liked the mountain orcs. I wish you both good luck. On the website and FB page you write that humans are your next release, and that the neck issues could easily be fixed but the junctions with the arms were problematic and didn't allow you to release a regiment for humans. When can we expect that? 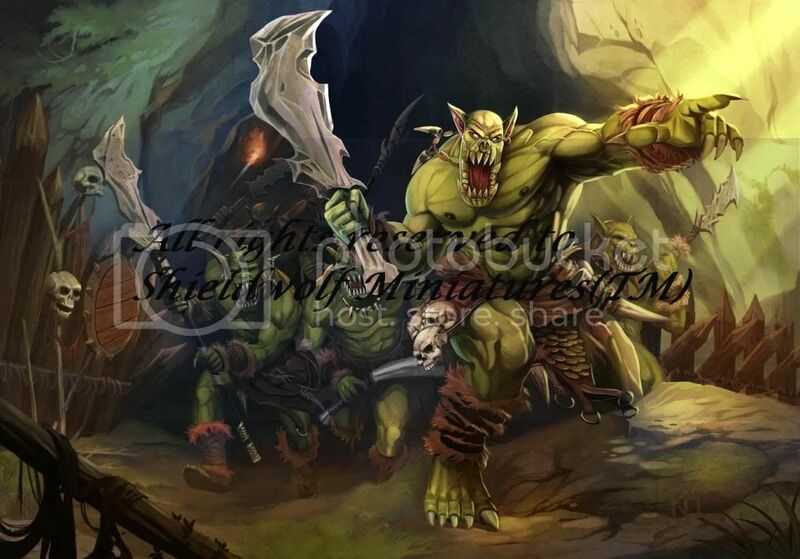 If you are having goblins painted now, when can we expect them to be released? Are they after the humans? And the Valley Orcs that are your next Orc release, do we have a scheduled release date for those?